The New York Yankees, defending champions of the All-America Football Conference’s Eastern Division, opened their second season on August 31, 1947 at Buffalo. 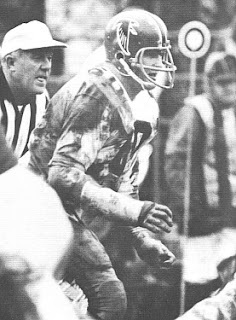 New York, running a single-wing offense under Head Coach Ray Flaherty, had gone 10-3-1 before losing a close-fought title game to the Cleveland Browns to cap the AAFC’s first year. The Yankees lost veteran tailback Ace Parker to retirement but still had the league’s best running tailback in Spec Sanders. They also had plenty of talent across the board and had also added a talented rookie in the diminutive (5’5”, 170) but fast HB Buddy Young out of Illinois. Buffalo was 3-10-1 in 1946 but had made some changes. 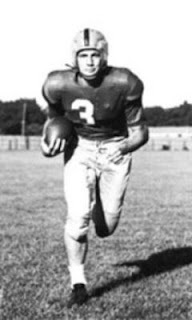 While still coached by Red Dawson, the team’s nickname had been changed from Bisons to Bills. 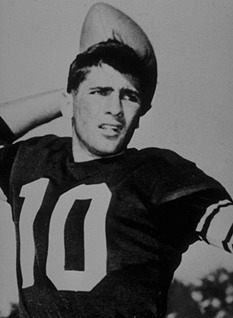 A promising rookie quarterback had been signed in George Ratterman (pictured above), mostly a backup to Heisman Trophy-winning Johnny Lujack at Notre Dame but a star in the College All-Star Game upset of the Chicago Bears, the defending NFL Champions (Young also was a key player for the All-Stars). He had good ends to throw to in holdover Fay King and newcomer Al Baldwin, and there was talent at running back, most notably up-and-coming HB Chet Mutryn. There were 32,385 fans at War Memorial Stadium in what was at the time the largest pro football crowd in Buffalo history. A Sanders pass to FB Eddie Prokop reached the Buffalo four yard line to set up New York’s first touchdown of the game as Prokop then carried for the remaining four yards. However, later in the first quarter Buffalo LB Vic Kulbitski intercepted a Sanders pass to set up the home team’s first TD. Ratterman passed to Mutryn for 19 yards and finished the series with a one-yard quarterback sneak. The teams traded touchdowns again in the second quarter, this time with Buffalo scoring first when Ratterman connected with King on a 39-yard pass play. Sanders ran for a 17-yard TD and, with all extra points successfully added, the halftime tally was even at 14-14. In the third quarter, Buddy Young showed off his speed in the open field as he took a pass from Sanders for a 50-yard touchdown. Following the long scoring play, the Bills responded with a scoring drive. End Alton Coppage made two outstanding catches of Ratterman passes, the second moving the ball to the New York one from where HB George Koch powered in for the TD. With the score tied at 21-21 heading into the fourth quarter, tailback Frank Sinkwich passed the Yankees into scoring territory and Harvey Johnson kicked a 15-yard field goal to put New York ahead. Ratterman led the Bills back on a drive that concluded with a fourth down scoring pass of eight yards to Mutryn in the corner of the end zone with six minutes remaining. The touchdown proved to be decisive, but the finish was dramatic as the Yankees again drove into Buffalo territory with time running down. A pass from Sanders moved them to the 10 yard line but a throw intended for FB Lloyd Cheatham at the three fell incomplete as time ran out. The Bills pulled off the upset by a score of 28-24. 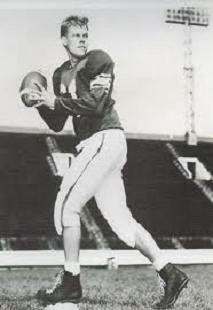 George Ratterman had a successful debut, completing 9 of 13 passes for 121 yards and two touchdowns. For the Yankees, Buddy Young (pictured at left) rushed for 81 yards on 13 carries and added the 50-yard pass receiving TD. The Bills continued to both play and draw well and were in contention until losing badly to the Yankees in New York by a score of 35-13 in the next-to-last week of the season. They finished second with a record of 8-4-2. New York was 11-2-1 to again top the East – and again fell to the powerful Browns. Ratterman went on to have a solid rookie season, throwing for 1840 yards with 22 touchdowns. 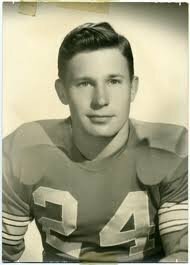 Chet Mutryn rushed for 868 yards while averaging 6.2 yards per carry and leading the AAFC in kickoff returns (32.9 avg). Spec Sanders had a spectacular season, rushing for 1432 yards and scoring 19 touchdowns while generating 2265 all-purpose yards. Buddy Young put together a fine first year, running for 712 yards on 116 carries (6.1 avg.) and catching 27 passes for 303 more yards. His rushing total placed fifth in the league, behind the fourth-ranked Mutryn who also finished second to Sanders in total yards with 1933. 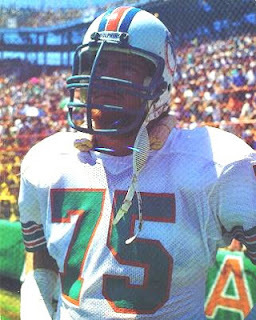 A lightly-regarded sixth-round pick in the 1978 NFL draft, Betters started six games in place of injured star DE A.J. Duhe as a rookie and performed well. He became a regular starter in ’79 (Duhe was eventually moved to linebacker) and a stalwart part of a defense known as the “Killer Bees” due to the significant number of its members with last names that started with the letter B.
Dolphins went 12-4 to finish first in the AFC East while leading the NFL in fewest points surrendered (250). Lost AFC Divisional playoff to Seattle Seahawks (27-20). Betters was less consistently outstanding in 1984, but still accounted for 14 sacks. He declined significantly in ’85, lost his starting job in 1986, and was finished after the ’87 season. Officially, he accumulated 43.5 sacks (added as an official statistical category in 1982) while playing for 10 seasons in all. While a starting member of the defensive line for most of that time, the 1983 season was clearly his peak. 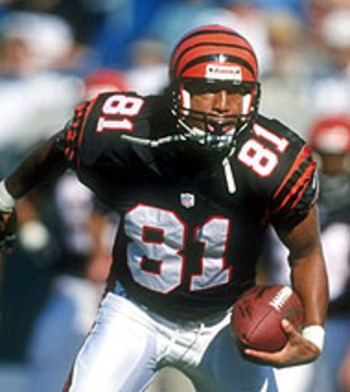 With two choices in the first round of the 1992 NFL draft, the Bengals took QB David Klingler and DB Darryl Williams, and three picks later, in the second round, Pickens, who was coming out of college following his junior year. Considered to be a receiver of great potential, there were also concerns about his attitude. It was anticipated that he would be used as a third wide receiver as a rookie, but he ended up starting 10 games. Bengals went 5-11 to finish fourth in the AFC Central. Pickens improved to 43 catches for 565 yards (13.1 avg.) and 6 TDs in 1993, continuing to show great leaping ability and athleticism if not blazing speed. With Jeff Blake replacing David Klingler at QB during the ’94 season, Pickens’ numbers improved and he had six plays of 50 yards or more among his 71 receptions for 1127 yards (15.9 avg.) and 11 TDs. He reached his peak in 1995 and ’96, seasons in which he led the AFC in pass receptions and was selected to the Pro Bowl, catching 99 passes for a career-high 1234 yards and league-leading 17 TDs in ’95 and 100 for 1180 yards and 12 TDs in ’96. Pickens was limited to 12 games by injury in 1997, but returned to catch 82 passes for 1023 yards and 5 TDs in ’98. However, attitude problems combined with declining play and the arrival of younger receivers caused a decline in production to 57 receptions and 737 yards in 1999 and Pickens finished his career with Tennessee in 2000, where he signed as a free agent and caught 10 passes. Overall, he ended up with 540 receptions for 7129 yards (13.2 avg.) and 63 TDs (64 touchdowns overall with his one punt return TD). 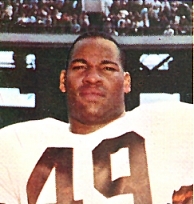 A track as well as football star in college, Mitchell was chosen by Cleveland in the seventh round of the 1958 NFL draft. After having an outstanding performance in the College All-Star Game against the Detroit Lions, he joined the Browns and was teamed with second-year FB Jim Brown to create an outstanding running tandem. Browns went 9-3 to tie for first place in the Eastern Conference while leading the NFL in rushing (2526 yards). Lost Eastern Conference playoff to New York Giants (10-0). With his great speed and moves, Mitchell continued to play well for the Browns for the next three seasons. 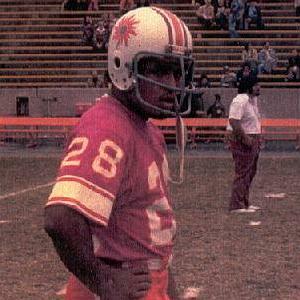 He had a 232-yard rushing performance in a game against the Redskins in 1959 and was selected to the Pro Bowl in ’60. Traded to Washington for 1962 in a move that integrated the club, Mitchell was shifted to flanker and led the NFL in pass receptions (72) and yards (1384) and was a consensus first-team All-Pro. He was also chosen to the Pro Bowl for the first of three consecutive seasons. Mitchell led the league in receiving yards again in ’63 (1436) and TD receptions in 1964 (10). Consistent and a game-breaking deep threat, he was also used occasionally at halfback, especially in 1967 when he carried the ball 61 times, in an attempt to bolster Washington’s weak running game. 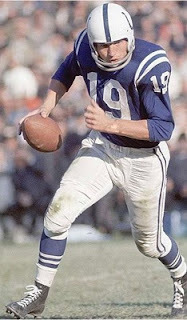 Retiring after the 1968 season, his career totals were 521 pass receptions (third all-time in the NFL at that point) for 7954 yards (15.4 avg.) and 65 TDs. Adding in his rushing and kick returning, his 14,078 total yards also ranked third at the time and his 91 touchdowns were fifth. 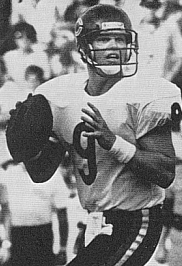 Mitchell was inducted into the Pro Football Hall of Fame, Class of 1983.